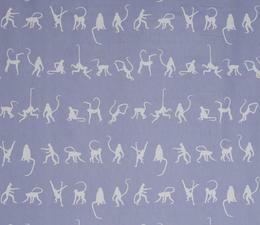 A fun and cheeky cushion featuring an array of frolicking monkeys in bright bluebell. 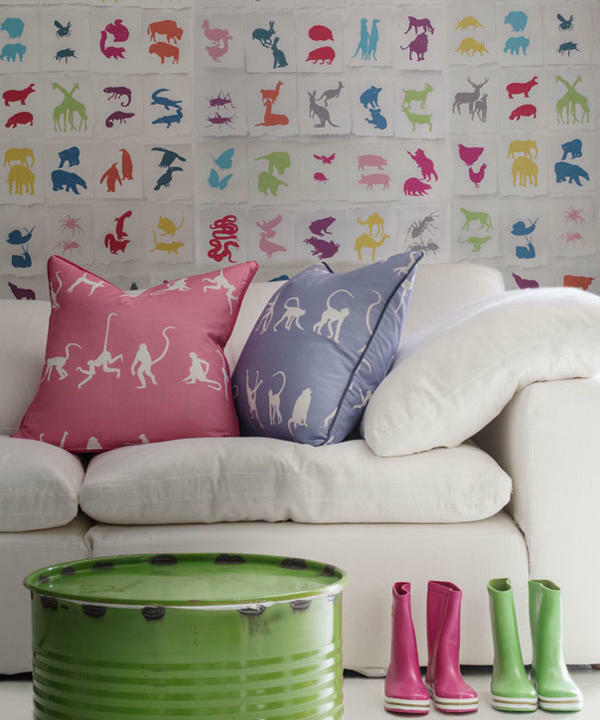 Contrast piping in smart, glazed linen, Onslow Denim. 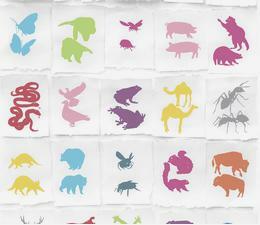 Immerse in the unexpected and swing your tails to the beat. Cushion pad included. 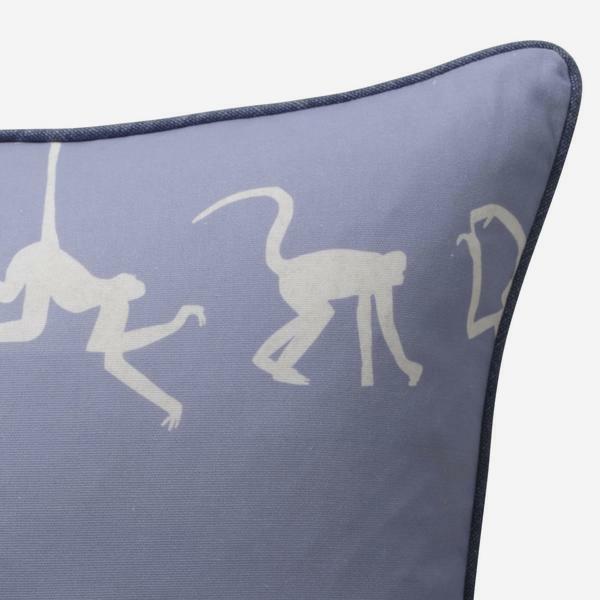 Watch these Spider monkeys dance across the cushion, creating a truly mischievous motif. 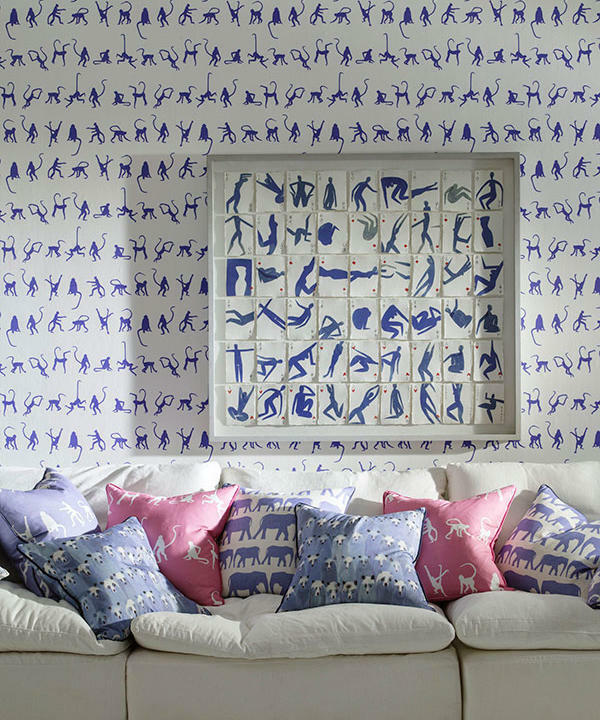 Drawn by British artist Holly Frean, their iconic, spindly tails suspend them from imaginary branches and their long arms sway to the rhythm of the beat. 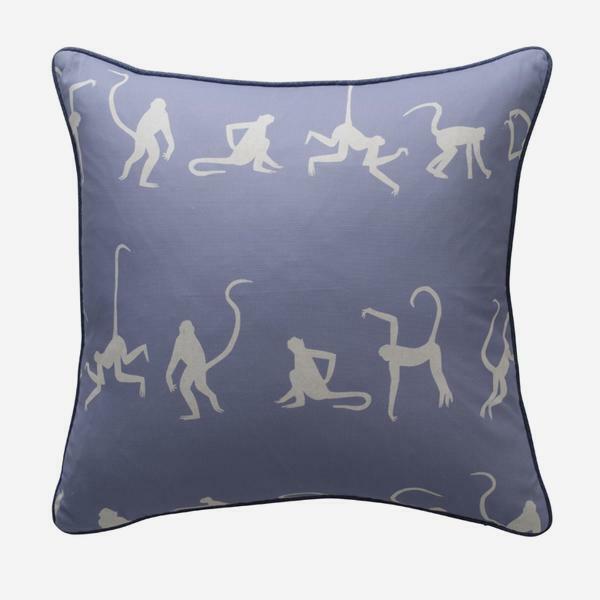 100% cotton, handmade in the UK and filled with sustainably sourced duck feather and down, which adds quality to the entertainment. 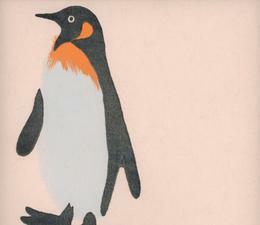 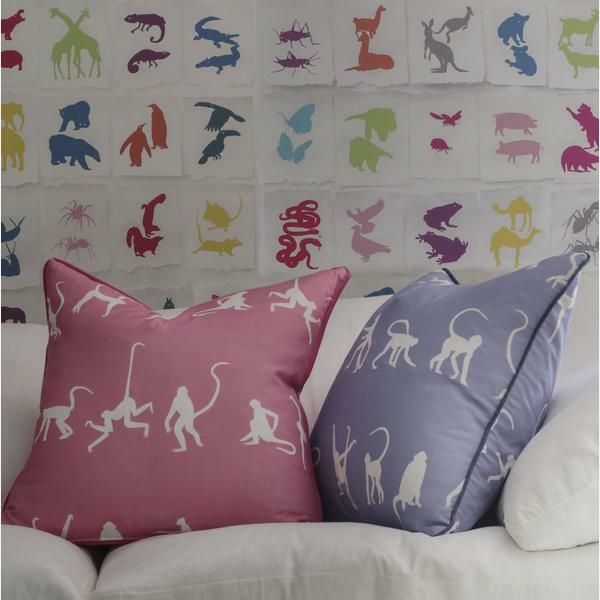 In vibrant pink or bluebell, these Monkey Puzzle cushions will make your room pop.